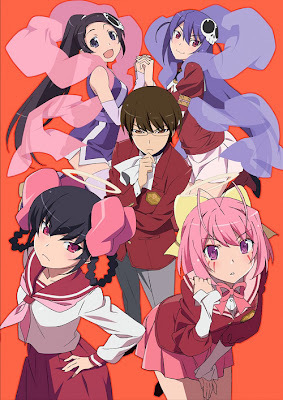 Animes that receive sequel after sequel must be the ones that are horribly popular, and that is obviously the case with "The World God Only Knows". Its concept of having a single otaku/nerd/geek protagonist having to romance with tons of real world girls and then having their memories forcefully erased seems good enough on paper. Well, it certainly got enough fame for 2 extra OVAs and another season after its already second season. However, with the manga already so far ahead, the anime decided to take a huge leap forward, all the way to the goddesses arc, which was apparently quite far from where we last saw Keima and his crazy antics. 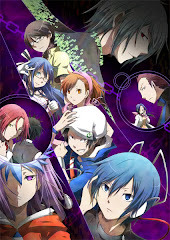 Still, following the story of the goddesses arc, this is the best season up to date, with the most interesting and emotional plot when compared to that of the first 2 seasons and the 2 OVAs. If you'd like some feels, "Goddesses Arc" has plenty of them. Behold. one of anime's biggest harem lords. I have never been a fan of the franchise's choice of anime opening themes, so I'll get right down to it. Following the tradition of the seasons before it, "Goddesses's Arc"'s opening theme is "God Only Knows - The Secrets Of The Goddesses", sung in the exact same fashion of the opening themes before it. If you like the previous ones, you'll like this one, but if you don't you won't like this as well. As far as ending themes go, "Kizuna No Yukue" by the Jupiter sisters (probably all their seiyuus combined) is a pretty generic ending theme, which starts off slow, speeds up a bit, then goes slow again. Not really my cup of tea. 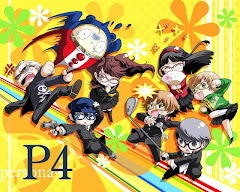 Just the difference of tone in the plot alone makes this a better season than the ones before it. The story feels more tense, more interesting, and its more emotional overall, the end will give you some feels, that's for damn sure (Poor Chihiro). 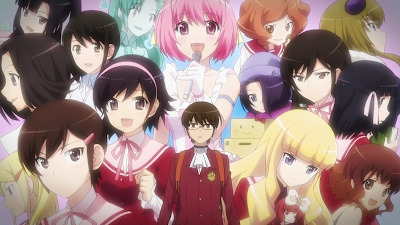 And since this isn't like the first 2 seasons at all where he was just romancing girls for the sake for removing loose souls, it feels like what Keima is doing in "Goddesses Arc" has more purpose. He has more of a mission this time round, and everything that happens here in this season seems to have more meaning than anything else he has done so far. The little action sprawls here and there between the reapers is also nice little plus, and having the business of the underworld mixed into real world events makes everything all the more interesting. Of course, the biggest factor that makes this season better than the other 2, is of course, the level of emotion present here. Its a lot more than before. Woah, is that uniform made of paper lace or something? A great season 3, if I would say so myself. "Goddesses Arc" brings the anime up to speed to one of the best story arcs that the manga actually has to offer, and everything went really well. 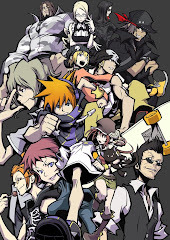 With so many great factors in the story arc that makes it rise above the others, its a nice run for the fans of the series. I can't wait to see whats next.